The purpose of this post is to describe 10X10, an ongoing project initiated at Edinburgh College of Art, that each year brings animators and composers from a range of European universities together in a virtualized collaborative process. Currently, this project is being handled in a way that allows an interesting, but passive, survey of trends and tendencies. Future iterations could conceivably be used to drive enquiry in a more active way by addressing explicit questions around European social and cultural issues, via the medium of animation. Fig. 1. 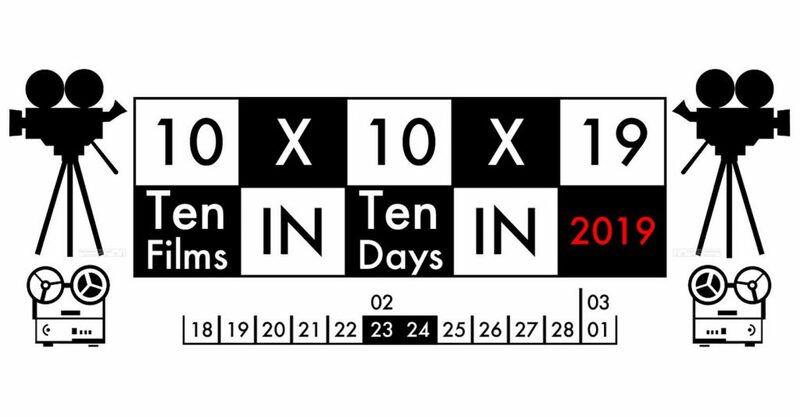 The logo of the 2019 edition of 10X10. In 2011 ECA’s Animation Department received an invitation to present student work at the World Festival of Animated Film in Varna, Bulgaria. We decided to showcase 10X10X11. Our ridiculous 24-hour turnaround time for these films was viewed with some incredulity from the audience, but the results of our students’ work intrigued a few academics who were facing similar challenges with their own students. A plan was developed with Tsvetomira Nikolava to bring students from New Bulgarian University and the National Academy of Theatrical and Film Arts in Sofia on board for 10X10X12. From this point on the project developed a momentum of its own, we were able to bring composers from the Reid School of Music studying under Yati Durant to the project, crafting scores for films or scores to inspire films in the same 24-hour turnaround. The online components of this project through its Vimeo channels, attendant SoundCloud site and Facebook groups meant more and more people were asking if they could participate. To date we have had students from institutions in the Netherlands, Italy, Bulgaria, France, Taiwan, Canada, South Africa, Switzerland and the USA take part. An interesting aspect to the project is that the academics involved perceived it as a gruelling activity, we were not placing other scheduled activities in abeyance, the animation had to be fitted into the gaps between the necessities and commitments of life beyond animation, so we required our students to participate. Each year though, increasing numbers of alumni have asked if they could return to take part in the project, and some have done so for the last six years. So perhaps, despite the ridiculous deadlines, those participants see some merit in those fortnights of intense effort? In recent years we have established a unified theme for Fridays on the project, other than that, the students are free to explore whatever subjects and themes they want. Some use the epigrammatic structure to experiment with method, some use the ten films to make a linked narrative, some choose to respond to their dreams of the night before, or whatever life throws on them at their way into the studio. The themes that we have set in the past have come from invited guests, or to commemorate a colleague (Tsvetomira Nikolova sadly passed not long before 10X10X17, so we devoted a day to elephants, the subject of her last uncompleted film). This project, as I mentioned at the start of this post, could be used as a research engine to drive out multiple musical and animation responses to whatever questions we give to the participants, across a wide range of nations, and experience. 10X10X20 will also be the 30-year anniversary of ECA’s Animation Department, the 30-year anniversary of the McLaren Awards at the EIFF, the 10-year mark for this project, and the end of UK’s first year apart from Europe… What sort of questions can we be asking of 10X10X20’s participants? Jared Taylor is currently Programme Director for Animation at Edinburgh College of Art, a part of the University of Edinburgh. His industrial background in animation is from the interactive sector. He has worked as a designer and producer for small independent games studios developing for clients such as LEGO, Konami, Square Enix, and Nintendo. His interests are in hybrid forms of animation and the emergent/subversive use of technology, even if that technology comes in the shape of a pencil. His current research focus is on digital recreations of proto-animation optical toys such as phenakistoscopes and praxinoscopes.